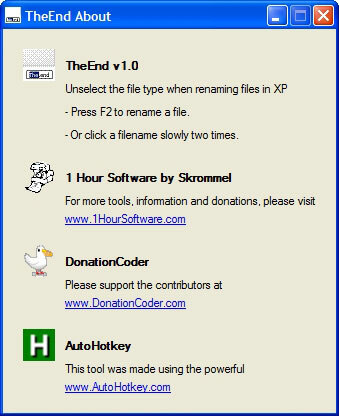 TheEnd is a free portable tool that automatically unselects the file extension when you rename any file. Just run the tool and it will sit in the system tray. Now to rename a file with the file extension unselected, select the file and press F2 or click the name of the file two times slowly.